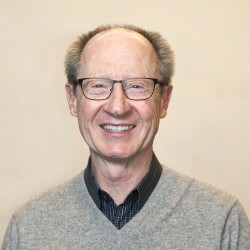 When faced with complicated site and structural challenges, architect Jim Goettsch and his team developed a smart and creative solution. 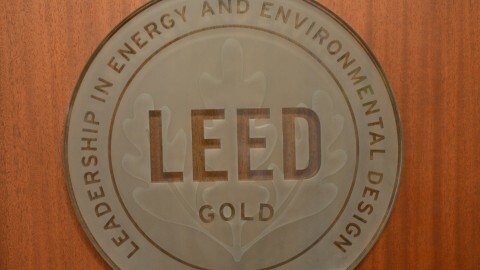 The result at 111 South Wacker is an award-winning Gold LEED (Leadership in Energy & Environmental Design) certified building. 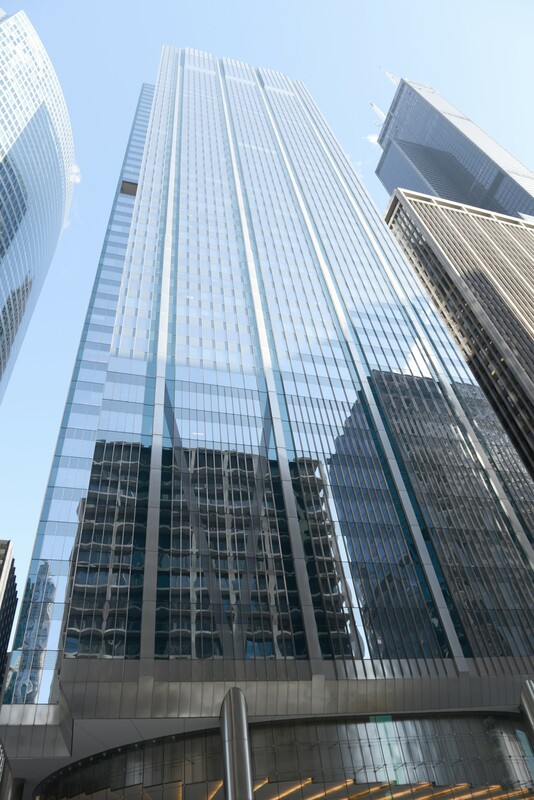 At the time of demolition, the USG building (the previous building at 111 South Wacker) was the tallest building to be demolished in Chicago. 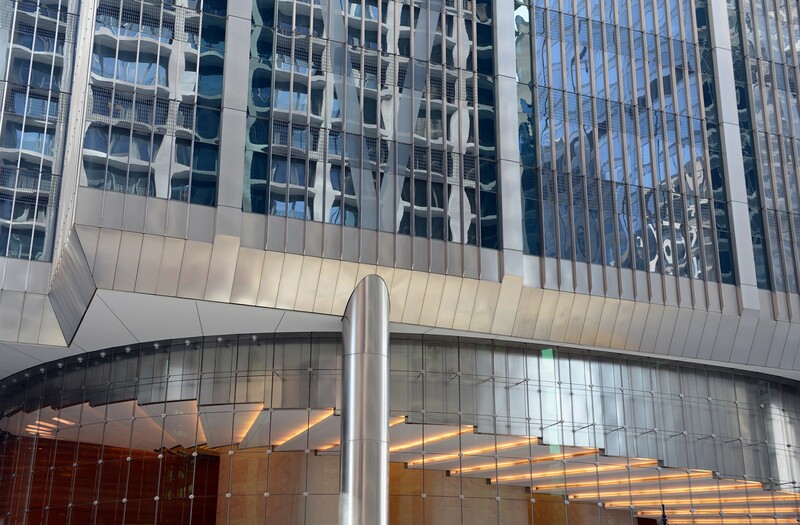 When 111 South Wacker was certified in October of 2005, it became Chicago’s first-ever new construction Gold LEED certified project. 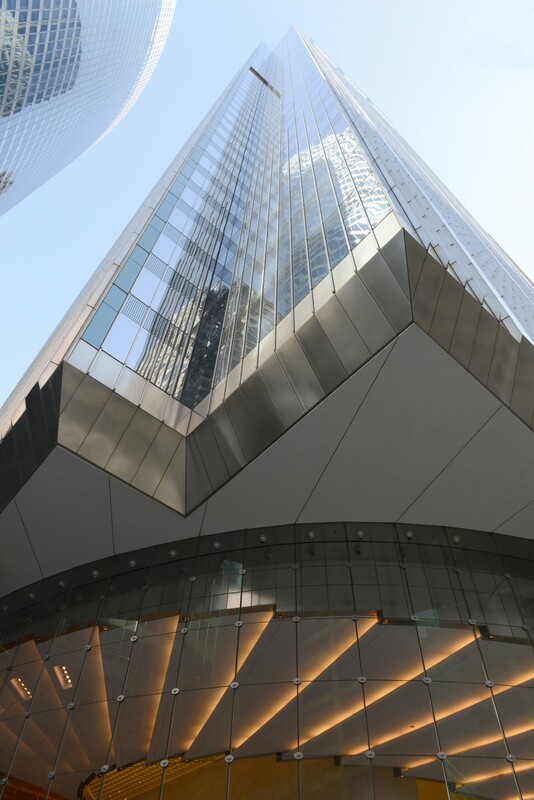 The building has a green roof; however, designers were concerned about plants surviving 65 floors up. The solution: Their green roof houses alpine species. 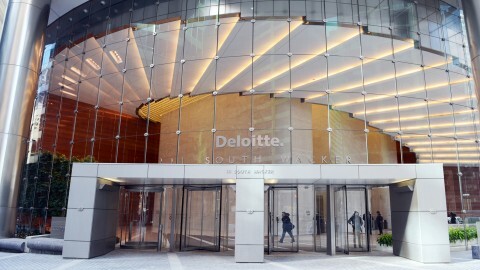 The original site of 111 South Wacker once hosted the magnificent US Gypsum (USG) building. 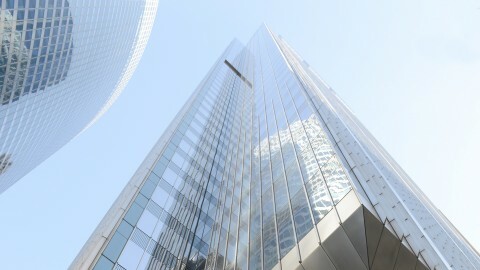 The structure was turned at a 45-degree angle toward the corner of Wacker and Monroe. When it was demolished in 2003 to make way for the John Buck Building at 111 South Wacker Drive, it left behind a problem to be solved. The original caissons were angled irregularly and therefore could not have supported the proposed structure. However, engineers at Magnusson Klemencic Associates devised a plan that enabled the reuse of many of the originals and only added minimal extras. The plan made the cost of the foundation a fraction of what it might have been otherwise. 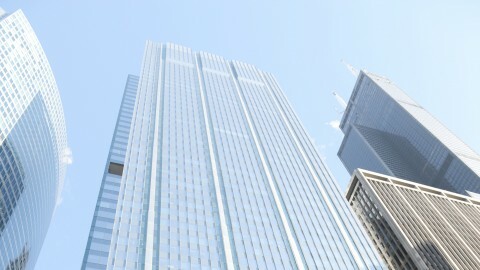 The site of 111 South Wacker gave Goettsch another hurdle. Next door, a 15-story building blocked precious views, which meant the occupiable structure needed to be 120 feet from the ground. To solve the problem, Goettsch put a parking garage on the first seven floors, but this is no ordinary parking garage. Its dramatically-lit, spiraling ramp reflects down into the 44-foot lobby space beneath it. The lobby’s stepped ceiling and marble and granite floors, laid in radial patterns, extend the spiral motif and it doesn’t end there. 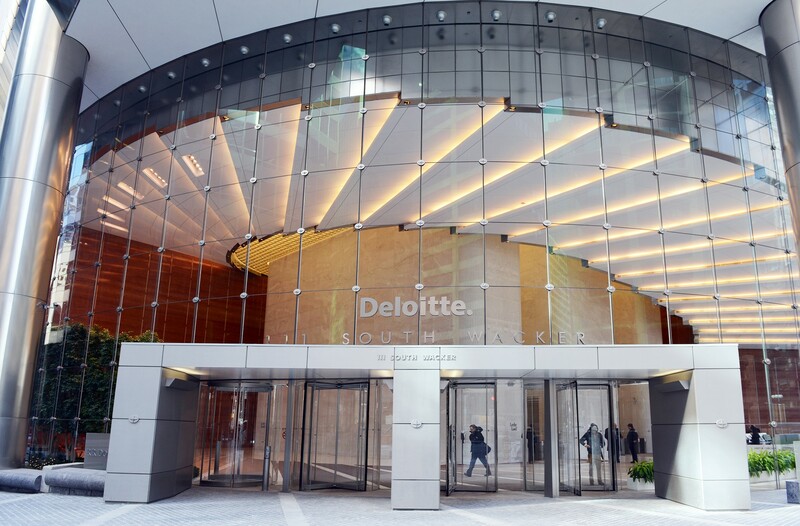 The spiral pattern continues onto the pavement outside the building, and non-reflective glass creates an almost invisible barrier between its interior and exterior space. As you walk through the lobby, it feels as though the building is radiating both upward and outward. Another striking feature in this magnificent lobby is its award-winning lighting. 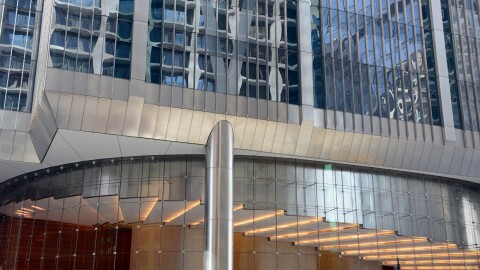 The International Association of Lighting Designers gave 111 South Wacker one of its 2006 Awards for Excellence, stating, “A luminous ceiling bathes the white core walls with a cool, diffuse northern light […] The lighting of the underside of the garage ramp reinforces the radial pattern using dimmable fluorescent lights in architectural coves. Radial slots were cut into the ceilings to integrate lighting equipment used to stimulate plant growth." Night or day, inside or outside the building, 111 South Wacker is a feast for the eyes and easy on the planet’s resources.